Ahhh, just what the doctor ordered.. It is a lazy sunday and I'm just recovering from taking my daughter to a metalcore/deathcore show that she wanted to go to and which ended pretty late. I'm not that into all this 'modern metal' but I kind of, sort of promised I would take her there. Long story short, here I sit with a spinning head, full of snot from the flu, and still ringing from the high-volume show last night. So I was not at all in the mood for something metal to review. Recently I kind of felt Merchants Of Air could use a bit more ambient and drone and lo and behold, Mr. Deer Trail himself led us to his brilliant collaboration with TCH aka Timothy C Holehouse. This album contains a collaboration between the two acts, as well as a new song from each of the artists. To be honest, this is actually the first time I have heard material from either of the artists but that's the beauty of working for a website such as this: there is just so much awesome music just waiting to be discovered. And awesome it is indeed. A gorgeous slab of guitar drones and outsider folk, blissful and hypnotic, delicate and raw at the same time. The album opens with the actual collaboration itself, the 20 minute 'Angels guide the way to our harbor' which starts as a brooding low end guitar drone piece. Layered over that are some tremelo-picked riffs. Just as you feel it could go on forever and I'd still be a happy man the low end fades out and the piece gradually transforms into something more slowcore/postrock-ish. Which in turn then transforms again into the finale of the track, a brilliant piece of outsider folk, complete with mournful vocals, banjo strumming and transcendal guitar ambience in the background.. What makes the track especially great is that while the three main parts sound quite different from eachother, the whole thing has a lovely flow to it so it sounds very organic. It has the feel of a tightly composed piece but at the same time it has the charm of a freeform improvised piece as well. The two individual works do a very nice job of showcasing the different aspects that led to the sound of the collaboration piece. First up is Tim Holehouse with the track 'Ascension'. A wonderful piece of outsider folk, gradually building up to a magnificent climax. Gentle strummed and picked acoustic guitars and the raw, gruff voice of Tim carrying us up to the layered finale. 'Ascend towards the light' as he so rightly puts it. 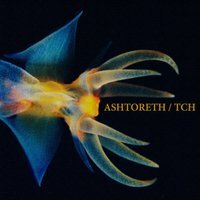 Ashtoreth takes the dronedoom way initially, but he chooses to end the album's final minutes on a subdued note, with a mixture of slowcore and folk, as well as a heartfelt lyrical delivery. And once again, like the whole album, it manages to find the perfect balance of loose improvisation and carefully thought out composition. If all of this isn't enough yet, the album is given a crystal clear production, with mastering by James Plotkin, that lifts it to a class of it's own. As I said before, I hadn't heard anything by either of the artsists before but that will definetely change because this album leaves me wanting more. Conveniently, Deer Trail has supplied us with the remix album as well so that will be a review for the near future as well. Watch this space.